Boris (Leonidovich) Pasternak was a Russian philosopher, poet, writer and translator. He is famous worldwide for his novel Doctor Zhivago, which won him the Nobel Prize in Literature in 1958. Born in Moscow in 1890 to a painter father and concert-pianist mother, Pasternak first pursued a formal education in musical composition at the University of Moscow, studying under the composer Scriabin. After six years, he gave up music, and, following a brief stint in Germany studying philosophy, he returned to Russia to devote his life to writing. With the release of two major works of poetry-My Sister Life (1922) andThemes and Variations (1923) Pasternak found himself among the leading poets in Russia. He went on to publish works of fiction, including The Adolescence of Zhenya Luvers (1924), several short story collections, and an acclaimed autobiography. As his writing grew more political in the ’30s and ’40s, Pasternak was unable to publish his own poetry, and instead turned to translating great literary works, including his mentor Rainer Marie Rilke, into Russian. In 1957, only three years before his death, he published Doctor Zhivago to instant international acclaim and a Nobel Prize nomination. In Russia, however, the book’s politics were not well received. It was banned and Pasternak was expelled from the Union of Soviet Writers. This tumultuous political spotlight forced him to decline the award. 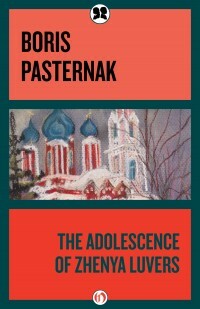 Since his death in 1960, however, Pasternak’s works have grown in popularity and he remains one of the most influential Russian writers of the twentieth century.